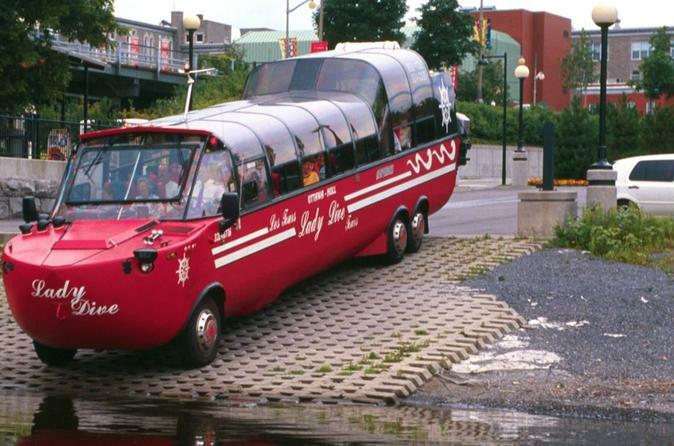 See all the sights of Ottawa on a hop-on, hop-off bus tour of Canada's capital city. You'll learn about the history of the region from your bilingual tour guide and have fabulous views from aboard an open-top double-decker bus, historic turn-of-the-century trolley or air-conditioned, washroom-equipped motor coach. 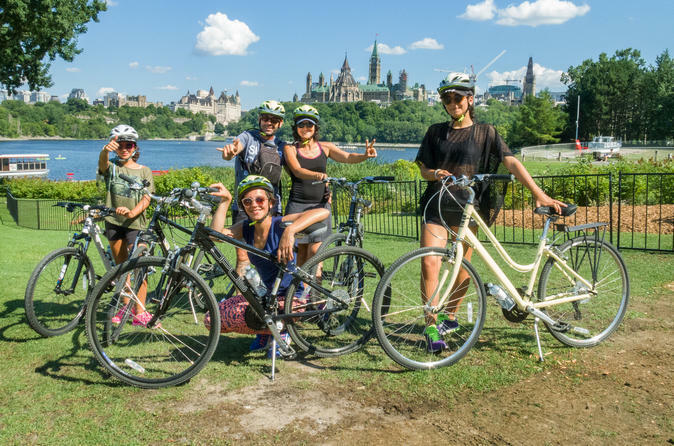 Explore Canada's capital from both land and water on this comprehensive two-hour hop-on-hop-off tour of Ottawa. 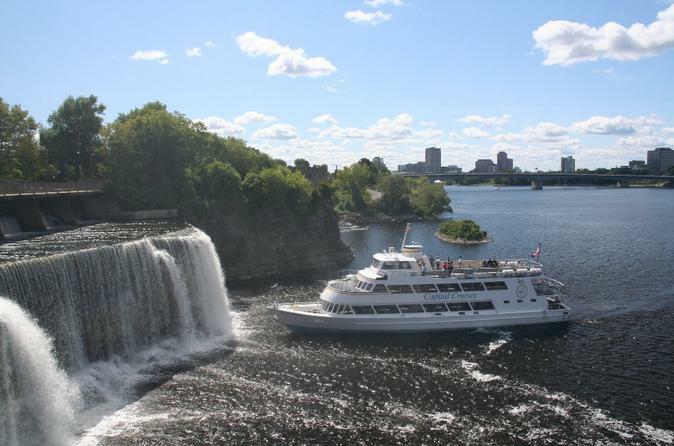 Combining a bus tour of Ottawa's highlights and a choice of Ottawa River Cruise or Rideau Canal Cruise, for a complete tour experience there's no better way to see Ottawa. 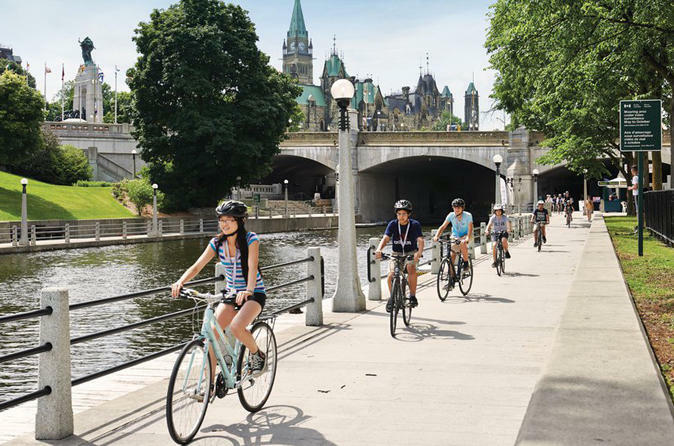 Perfect for first-time visitors, this city tour is a well-rounded introduction to Ottawa's attractions, leaving you with time in the day free to explore the city on your own. This 3-hour ByWard Market Food and Wine Tour takes you along the historic path of Ottawa’s ByWard Market. 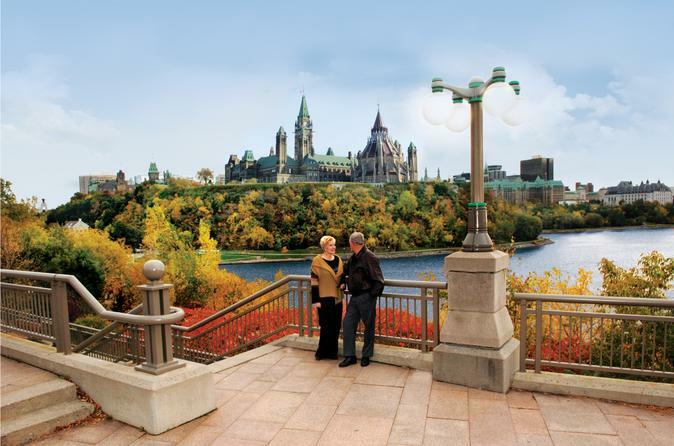 Along the tour, you will learn about Ottawa’s rich history and how Canada's Capital came to be. Stop at four of the Market's top restaurants as they showcase their relaxing atmosphere and award winning cuisine. Each restaurant represents one course of your meal that features locally prepared and unique cuisine. Wines are hand selected and paired accordingly. Your guides are professional sommeliers and will fill you in on everything you need to know about wine tasting. 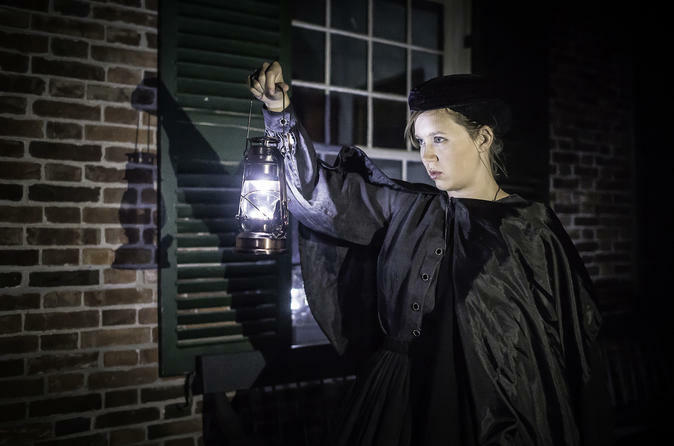 Walk through the streets of the By Ward Market and stop at the step of 9 establishments where the house's specialty will be served to you as you learn about the city's rich history. 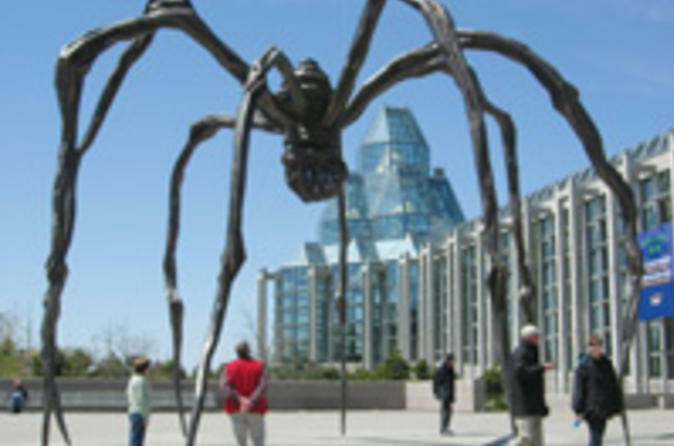 This experience starts under the National Art Gallery's giant spider statue and leads you through the historic ByWard Market. 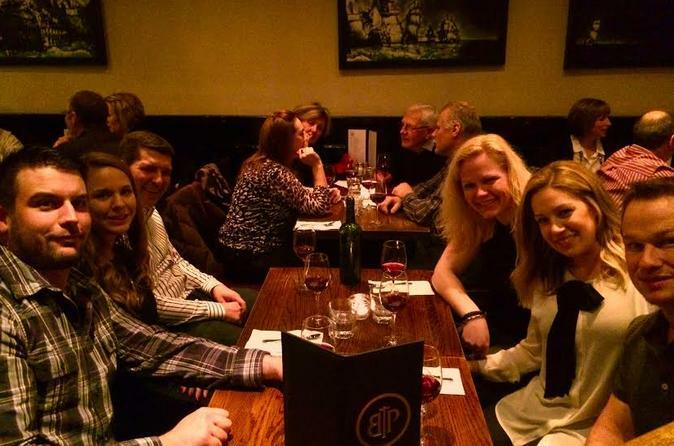 Also know as the "International Tour" because of the diversity of authentic food offered, it offers you a taste of the city's diverse roots and passion for food. 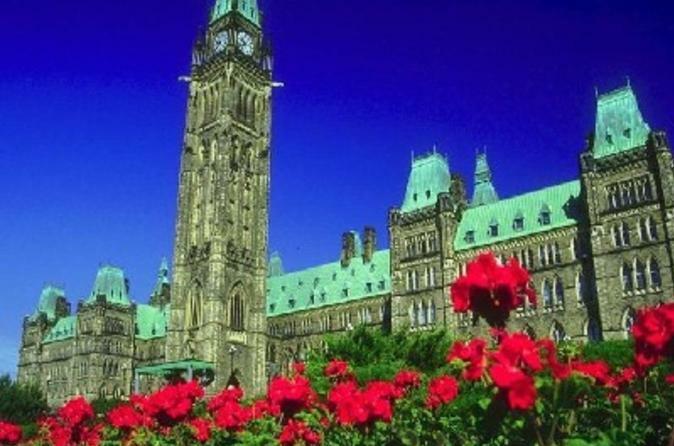 During this 3.5 to 4 hour walking tour, your guide will tell you about Ottawa's food scene as well as the rich history of its most frequented and touristic neighborhood. Popular with locals as well as people from out of town, you may meet people from different places around Ottawa, Canada, and the world during this experience. 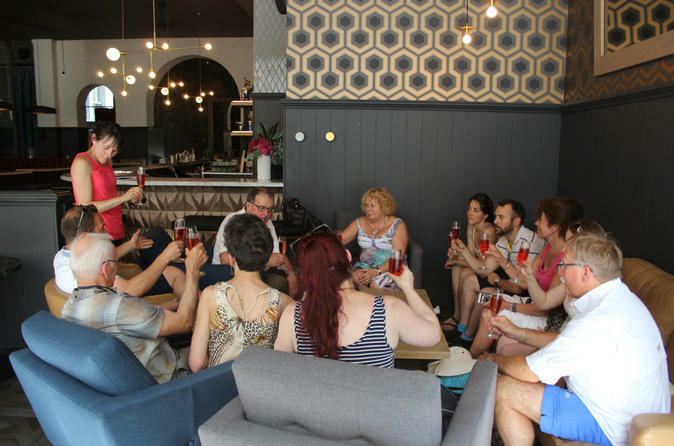 This tour includes 2 alcoholic beverages (or non-alcoholic for people under 19 years of age). All dietary restrictions and special needs are welcomed and must be communicated ahead of time. 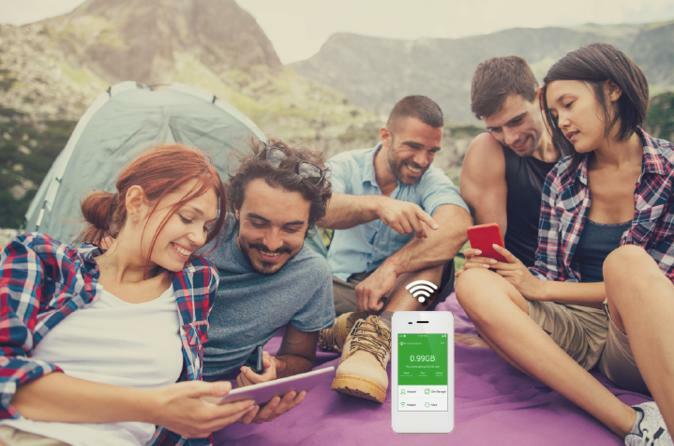 Are you tired of having no internet while travel? Secure a reliable connection up to 5 devices, including smartphones such as iPhones and Android, tablets and laptops. 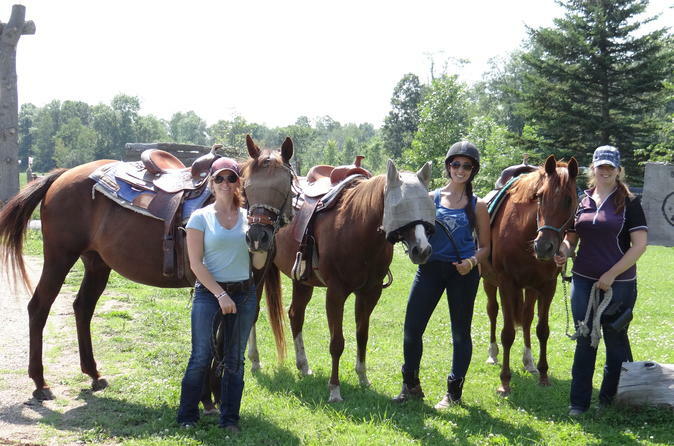 This “Learn to Horseback Ride” experience is ideal for beginners, novice riders and adventure seekers looking to create a special vacation memory while enjoying the thrill and unique feeling of horsemanship and being around horses. Your 2-hour experience offers a complete horse education from grooming and ground work to a lesson in the ring with an experienced trainer, topped off with a guided horseback ride on the trails. 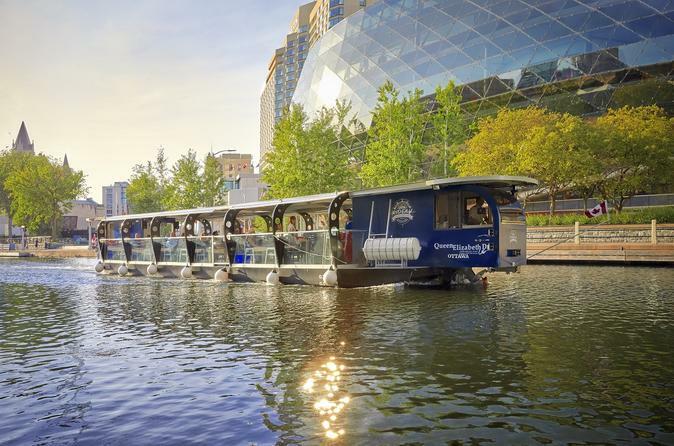 The most unique way to discover Ottawa is on board the world's-largest, certified, 100%-electric, passenger vessel. 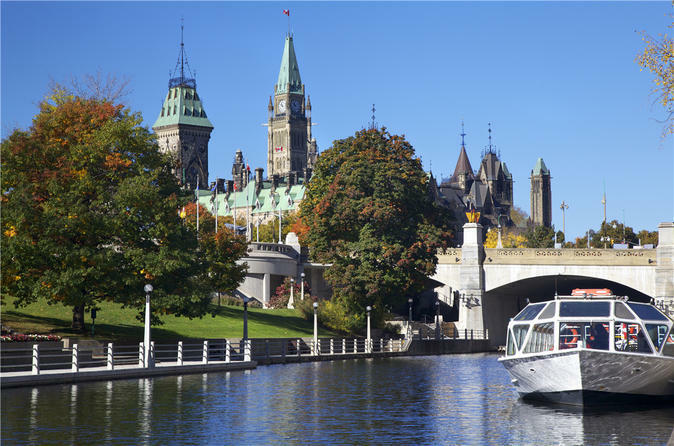 You will sail for 90 minutes on the iconic Rideau Canal and have a novel view of downtown Ottawa! The National Arts Centre, Lansdowne Park, Dow’s Lake, and many more scenic views await you! You will discover more with the live bilingual commentary and the free audio guide application. Come to 2 Rideau Street for your tickets, just across the street from Parliament Hill. The schedule is mid-May to mid-October, 6 departures per day, 7 days a week. Light, easier to pedal Giant models in five sizes expertly fitted. Electric assist available. Canada's rich military history is showcased through artifacts, personal stories, artwork, photos and interactive presentations. Tour the extensive permanent exhibitions and expand your knowledge of the conflicts that shaped Canada, Canadians and the world. Rest and reflect in Memorial Hall. Discover the Museum's fascinating architectural theme. And chat with a veteran to let history come alive. Breathtaking setting. Majestic architecture. Fascinating exhibitions. 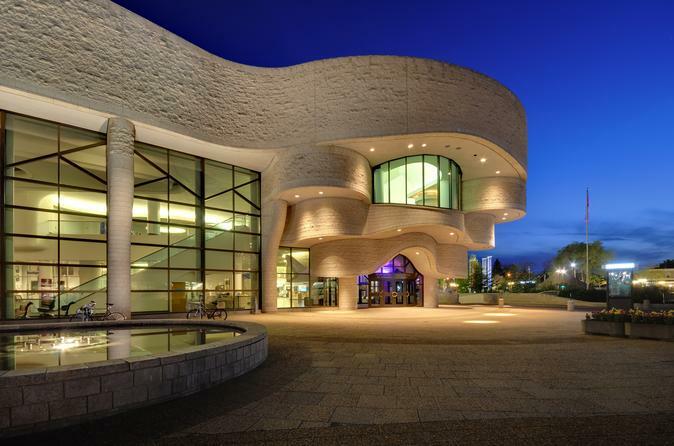 Welcome to Canada’s national museum of history, exploring this country’s rich cultural heritage, including the outstanding achievements of First Peoples. 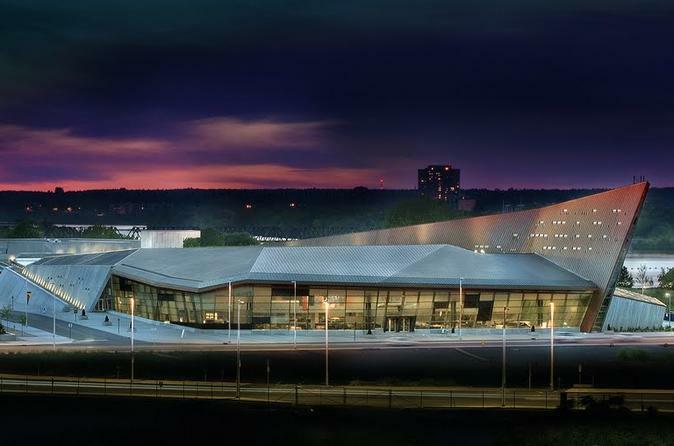 Visit the Canadian History Hall, our new signature exhibition, where evidence of the past tells a tale as vast and varied as the land itself. Explore Canada’s history through the diverse experiences and perspectives of the real people who lived it. Discover our collective story of conflict, struggle and loss, as well as success, achievement and hope. This new signature exhibition illuminates the enduring legacy of Canada’s past — a legacy that is alive, relevant and continually unfolding. 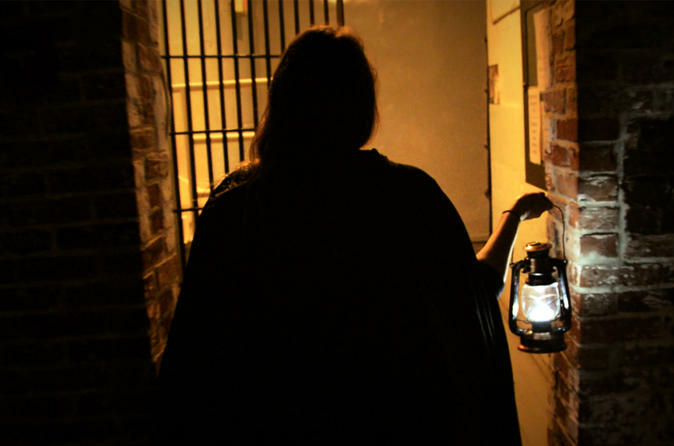 The Museum offers guided tours, education programs, the Children's Museum and CINÉ+. 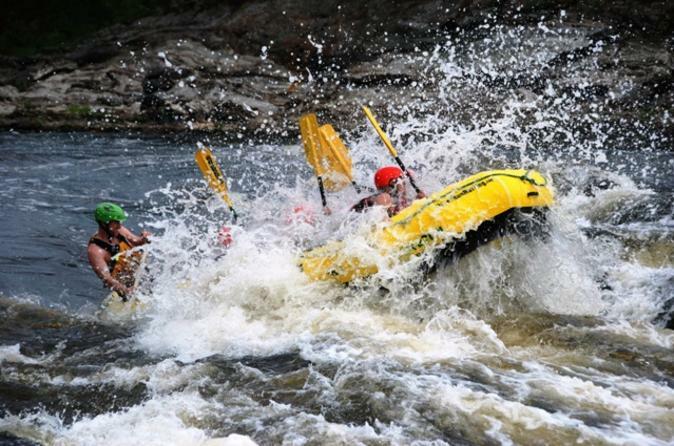 Experience a thrilling 4-hour whitewater rafting adventure on the famous Roche Fendu rapids. Board a 6-person sport raft and brave Class 2 to Class 5 rapids. Professional guide, rafting equipment and a BBQ riverside lunch is included in this authentic and amazing river rafting trip. 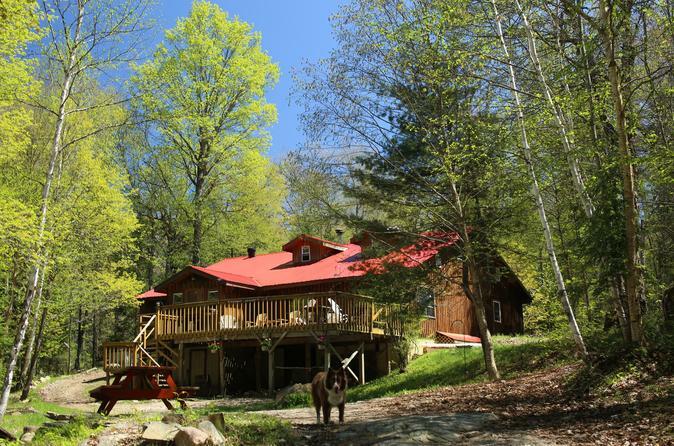 Ease yourself into the Canadian wilderness with 3 days and nights at an award winning eco-lodge. Followed by a 3 day wilderness canoe trip in world famous Algonquin Park. 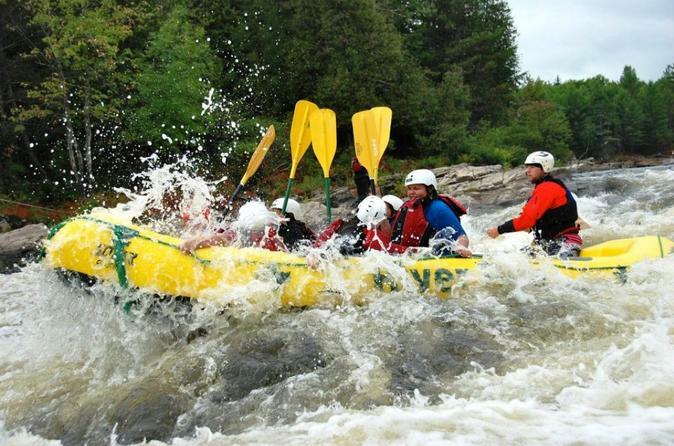 Experience an authentic Canadian white water rafting adventure on the legendary Roche Fendu rapids of the Ottawa River. Get ready for excitement and high adventure whitewater rafting in a traditional 12-person big boat. Professional guide, equipment and BBQ riverside lunch included.